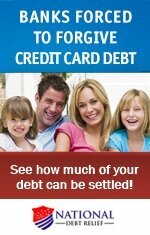 Heed the following credit card advice once you've recovered from debt and are ready to apply for a new credit card. So, you’ve escaped the clutches of credit card debt and learned important money management skills along the way. After diligently paying off your debts, you feel that you’re ready to start anew and rebuild your financial strength by applying for a credit card. Here are tips to use your new credit card wisely and prudently. Prior to shopping around for a new credit card, think about what you’re going to use the credit card for and set boundaries for yourself. Remember that having a credit card is risky because it makes you more likely to spend money you don’t have. Commit to living within your means and sticking to a budget. Do your research before you decide on a credit card. Look for online credit card comparison tools that give you insights into which card will best meet your needs. Also, consult review sites like ConsumersAdvocate.org and others. Be sure that you understand the terms and conditions of any credit cards that you apply for. In addition to checking a card’s interest rates and fees, read the fine print to learn other important details, such as your liability if your card is stolen, how to cancel the card, and any limitations on rewards and benefits. Furthermore, put a cap on the number of credit cards you apply for because applying for multiple credit cards can hurt your credit score. Secured credit cards work the same way as regular credit cards, except you must pay a deposit upfront to secure them. Furthermore, secured credit cards typically have higher interest rates, processing fees, and annual fees since there is a higher risk of default. 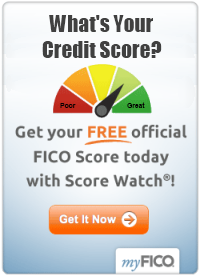 If you have a questionable credit score, using a secured credit card is a great way to rebuild your finances. As long as you pay your bills in a timely manner, your deposit will remain intact. After one or two years of timely payments, some credit card companies may allow you to transition to using a regular credit card. Short periods of major spending can lead to long-term financial problems. One of the best pieces of credit card advice that you’ll hear is that you should avoid making impulse purchases with a credit card. To prevent unplanned purchases, leave your credit card at home and bring cash when you go shopping. Create a purchase list of any items you want to buy that cost more than $100, and commit to not buying them for at least 30 days. In most cases, you’ll find that you don’t even want the items anymore after that 30-day period. Pay off your credit card balance in full each month. If you carry a balance, it means that you’re paying more than the purchase price for items you’ve bought because of interest. If, for whatever reason, you are unable to pay off the balance in full, at least try to pay more than the minimum amount owed. In addition, make payments as soon as possible since interest is charged on a daily basis. In the past, experts who gave credit card advice said that maxing out your credit card wasn’t an issue as long as you didn’t go over your limit but that advice is now obsolete. Avoid maxing out your credit card or maintaining a high balance because it can lower your credit score. Improve your credit rating by keeping your balance low and using no more than 30% of your available credit, even if you pay your balance in full each month. Make payments on your credit card at least one week in advance of the due date to avoid the risk of missing payments because even one missed payment can hurt your credit score. Many banks offer online bill pay options, allowing you to set up recurring payments with your bank account. 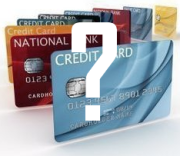 Should You Consider a Secured Credit Card?